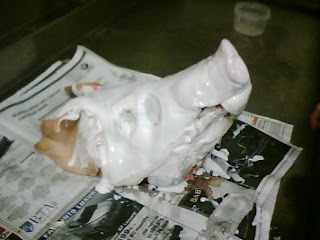 We began the molding of the Pig Head a few days ago but didn't have any photos until now. This is the Pig Head as the molding plastic from Smooth-On dries. Now we just have to cast the heads in wax.